VATICAN CITY (CNS) — Calling for a new style of politics built on peace and nonviolence, Pope Francis also called for disarmament, the eradication of nuclear weapons and an end to domestic violence and abuse against women and children. “Violence is not the cure for our broken world,” he said in his annual message for the World Day of Peace Jan. 1. “It is a challenge to build up society, communities and businesses by acting as peacemakers. It is to show mercy by refusing to discard people, harm the environment or seek to win at any cost,” he added. The message, released by the Vatican Dec. 12, said building a world of peace requires a “willingness to face conflict head on, to resolve it” and to make it part of a new process of choosing solidarity and building friendships. Building a new politics of nonviolence starts in the human heart and the home, he said. From within the family, “the joy of love spills out into the world and radiates to the whole of society,” he said. The church contributes by seeking to limit the use of force by applying moral norms, and many Christians contribute by drafting legislation. “To be true followers of Jesus today also includes embracing his teaching about nonviolence,” he said, and follow his practice of tackling evil with love and truth. In fact, an important “manual” for peacemaking, he said, is Jesus’ Sermon on the Mount, where he presented the Beatitudes. Applying the Beatitudes, which outlines how to be blessed, good and authentic, “is also a program and a challenge for political and religious leaders, the heads of international institutions, and business and media executives,” the pope said. 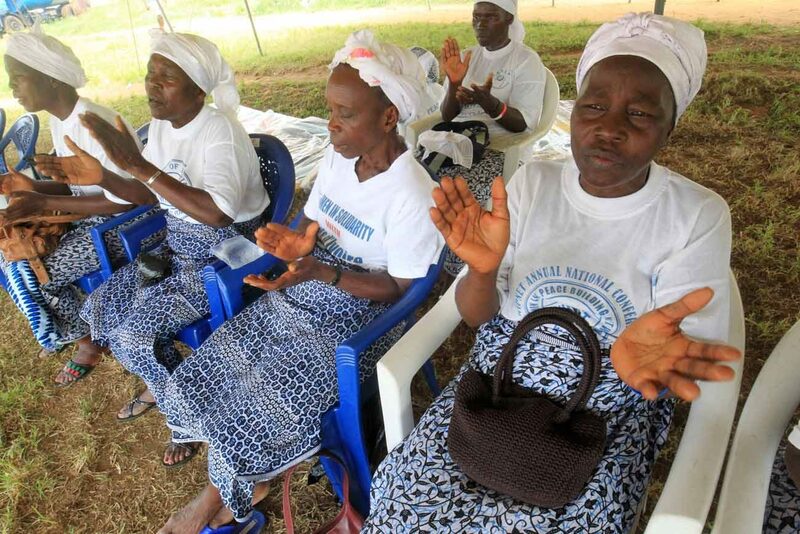 When victims of violence resist the temptation to retaliate, “they become the most credible promotors of nonviolent peacemaking” in the tradition of those who struggled actively and nonviolently for change such as St. Teresa of Kolkata, Mahatma Gandhi, Martin Luther King Jr. and the thousands of women in Liberia who helped end their nation’s civil war, Pope Francis wrote. Diplomacy and the hope for peace negotiations must never be neglected because “the diplomatic channel always gives us the possibility for dialogue” where all sides can speak face-to-face, said the cardinal, who is president of the Pontifical Council for Justice and Peace. He will serve as prefect of the new Dicastery for Promoting Integral Human Development, which will consolidate the work of four pontifical councils. He said the new dicastery will be conducting a deeper reflection on the appropriateness of how the traditional Catholic just-war theory is being used today. While there are no plans for a papal encyclical on the subject, he said the dicastery will organize a number of seminars and events to bring in experts to discuss various “points of view” on the theory that some wars can be justified in order to “analyze” the findings and publish the conclusions. A deeper reflection is needed, he told reporters, because just-war criteria are not always used for their original intent of preventing or discouraging war. “Now it is used for other different reasons,” he said. The cardinal also said while the new dicastery was set to begin Jan. 1, 2017, he said he asked Pope Francis if they could extend that date to “around Easter” given the amount of work in re-organizing and building a new approach with the help of an outside consultant. Some of the councils’ former offices will continue their work in research and study and a new department will be established to apply or put into practice different projects. He said he hoped the new dicastery would have a better communications strategy with a specialized office dedicated to sharing information and reaching out to media.